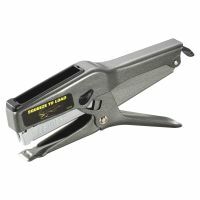 Have you seen our staplers? 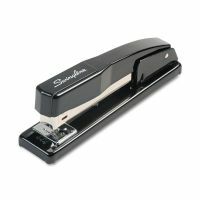 OfficeSupply.com has a wide selection of staplers from Swingline, Stanley Bostitch, Rapid and other manufacturers. 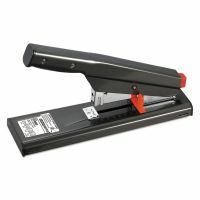 From standard desktop staplers to heavy-duty staplers that support more papers to electric staplers that staple automatically, the stapler you need is right here. Find mini staplers, tacking staplers, plier staplers and staplers in designer colors (including red). 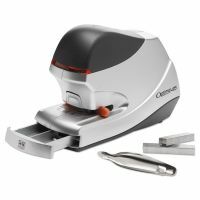 With your own stapler, you'll never have to borrow from co-workers again.